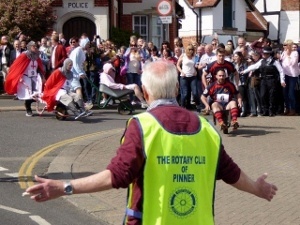 The annual celebration in Pinner High Street, with the famous Wheelbarrow Race at 3pm. 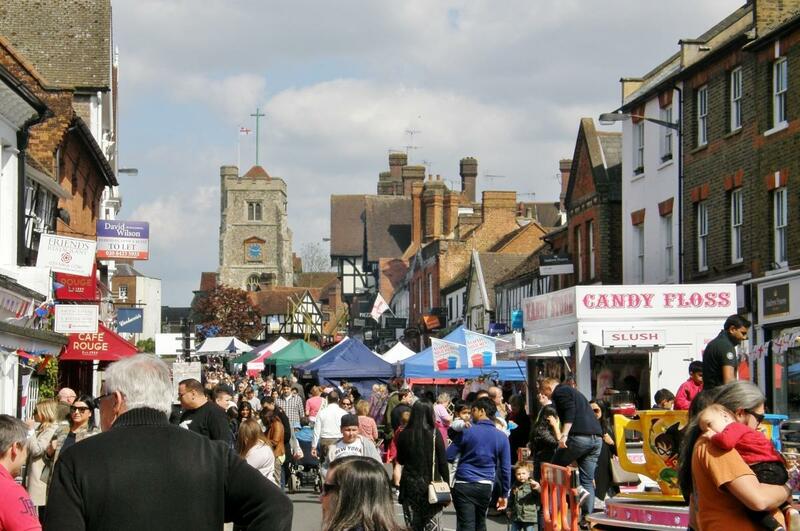 The High Street will be filled with entertainment for everyone with performers, stalls and activities. See the full entertainment programme here. Don’t feel up to pushing a wheelbarrow? Why not volunteer to be a Steward instead. We are looking for able bodied people who can assist us in keeping the public and participants safe during the race. You’ll also get a grandstand view and be part of Pinner's favourite annual race. Contact jez.foster@pinnerrotary.org.uk or steve.morrisby@pinnerrotary.org.uk for more details. Visit our main St George's Day page with links to photos from previous years.